This traditionally-styled, three-story design has a narrow footprint suitable for a wide range of land lots. The first floor is perfect for entertaining with a spacious island kitchen, an open dining room framed in columns and a generous great room with fireplace. A mud room provides a space to drop shoes, bags, and coats upon entry and an oversized pantry and utility room offer desirable storage and organization. Additionally, a dedicated office is perfect for a home business or projects. 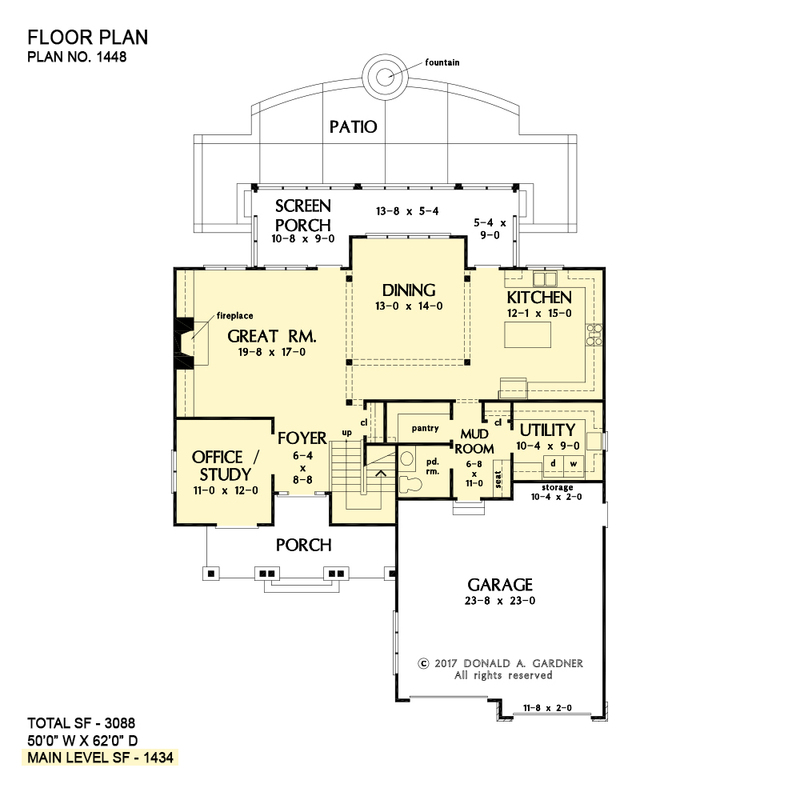 All four bedrooms, including the master suite are located upstairs. Two bedrooms feature built-in desks and the loft offers built-in shelves for a book collection. 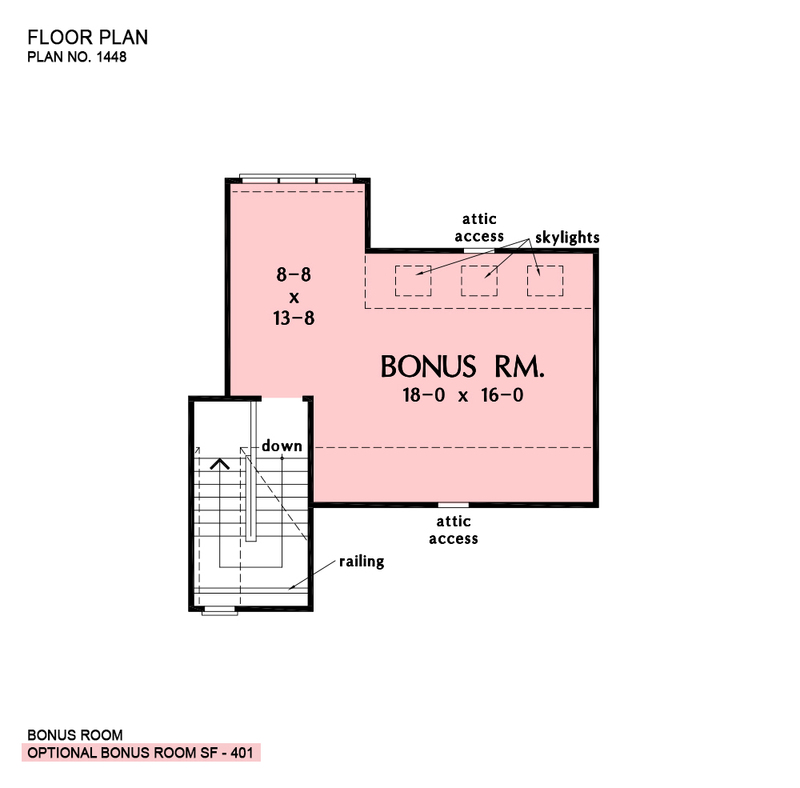 A third-floor bonus room provides additional square footage for future expansion or a game/theater room. 1st Floor: 1434 Sq. 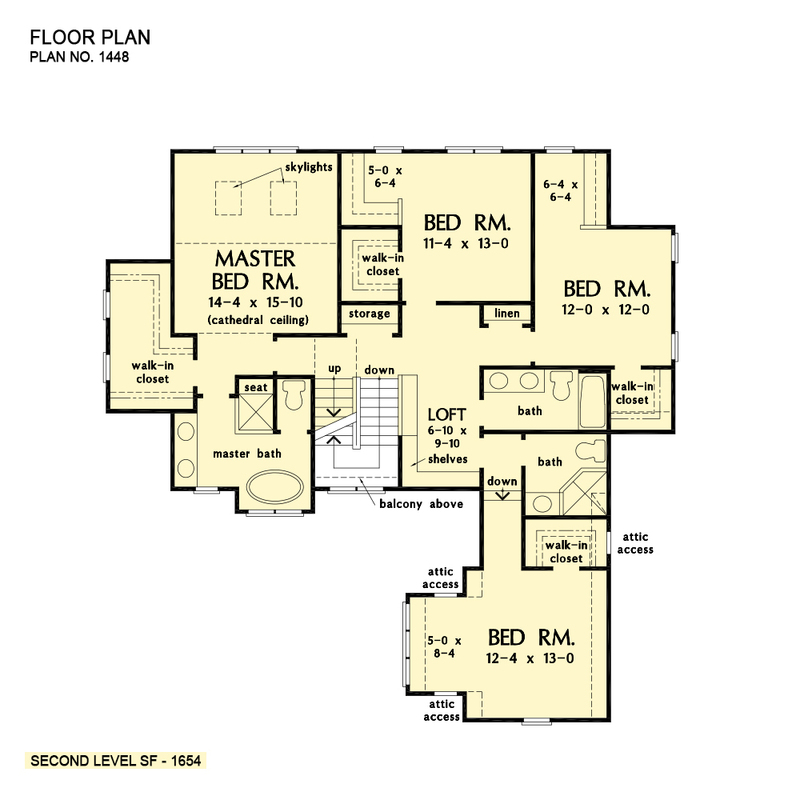 Ft.
2nd Floor: 1654 Sq. Ft.
House Dimensions: 50' 0" x 62' 0"
Master Bedroom: 14' 4" x 15' 10"
Great Room : 19' 8" x 17' 0" x 0' 0"
Master Bedroom : 14' 4" x 15' 10" x 0' 0"